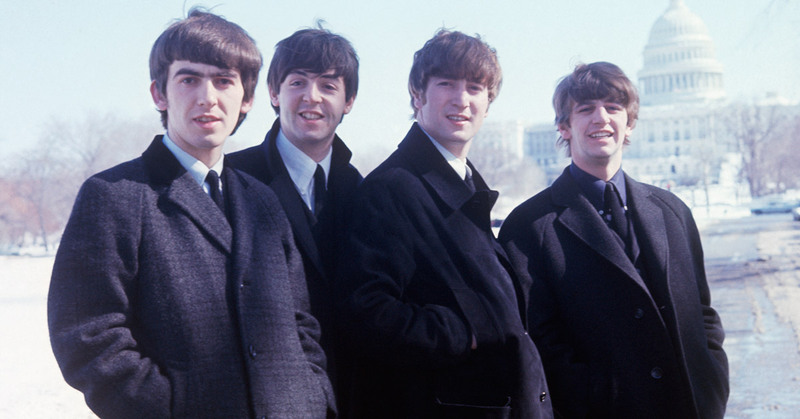 Beatle fans will find much to enjoy in Ron Howard’s new documentary The Beatles: Eight Days A Week – The Touring Years, which has been culled from brand new interviews and more enticingly from restored footage. The fact that some of the footage has never been seen before, or at least hidden away in the Apple Corps vaults since it was originally shown, will certainly provide an extra lure, even if some of it has been oddly and unnecessarily colourised. Howard has had exclusive access and it has paid dividends. Ostensibly about the “Touring Years” of the group, the focus is actually slightly broader – looking at the years the band played live and includes a spookily sharp restoration of their famous last-ever performance on the roof of the Apple offices on Saville Row. Of course, that gig, heard for free by the passers by on the street below, took place several years after The Beatles stopped touring. For the most part the ground covered by the film has been visited before, but what makes it particularly special and new is the fondness the surviving mop-tops Paul McCartney and Ringo Starr speak about both the time and the bond which existed between them, living so closely on the road. They were friends, family even. Each considered the other members almost as brothers, and the film is oddly moving when as an audience you realise that this is an examination of not just the most famous band that ever was, but of four friends making music together. They were also very, very funny. The footage of press conferences is delightfully silly. It’s in its depiction of the cultural sea-change that took place in the early 60s that the film is at its best, not least because the amazing footage which accompanies it is so well restored. One performance in particular, a gig in Manchester on 20th November 1963 – only two days before the assassination of JFK – looks and sounds astonishing. The restoration is pin-sharp and consequently looks like it could have been filmed last week. Howard is an American, so it’s understandable that the place of The Beatles in American cultural history is more of a focus in the film than in the UK. With the Civil Rights movement in full swing as an audience we realise how significant it was that The Beatles refused to play segregated performances and publicly went out of their way to befriend Muhammad Ali. There is a touching interview with Whoopi Goldberg where she describes how important a cultural factor they were, and the impact they had on her life as a poor black girl growing up in New York. What’s particularly fantastic is the interviews and behind the scenes footage of the tour crews and the press who followed them. There was an impossibly small number of roadies were responsible for the handling of all their gear, and the claustrophobic atmosphere of being cooped up together writing the next album and rehearsing in hotel rooms and in vans is nicely underlined. Their manager Brian Epstein had put forward a plan that they would release two albums a year, and so they had to produce the music when they could. Ringo explains that because of their record deal it was actually the touring which made them more money, so they had to keep doing it. The Beatles: Eight Days A Week – The Touring Years is a great and entertainingly eye-opening watch. But, in being a documentary about the touring and live performances of possibly the most culturally important and influential pop group in history, there a slight feeling of something lacking. Even of the story not being fully told. The lifespan of the group pre-fame, when they became one of the tightest performing groups through epic days of playing on stage in Hamburg, is only briefly touched upon. Poor old Pete Best, the original drummer before Ringo, and Stuart Sutcliffe – John’s close friend who was the original bass player – aren’t even given a passing mention. The death of their manager Brian Epstein, just as they were on a break from touring, isn’t touched upon. Neither is the fact that Ringo was replaced on tour by Jimmie Nicol for several performances in 1964 after he fell ill with tonsillitis. Nonetheless the film is moving, and funny, and has (of course) a brilliant soundtrack. Seeing the band playing live was something only a small number of people, compared to the millions who know and love their music, were able to do. The film goes some way to show life on the road, and with the footage of Manchester 1963 specifically, what it would have been like to attend a concert. The Beatles: Eight Days A Week – The Touring Years is released in cinemas on the 15th September. If you like The Beatles there are moments that might well make the hair on the back of your neck stand on end. Here’s the Facebook Live interview with Paul, Ringo and Ron Howard, which was conducted on the 14th September.